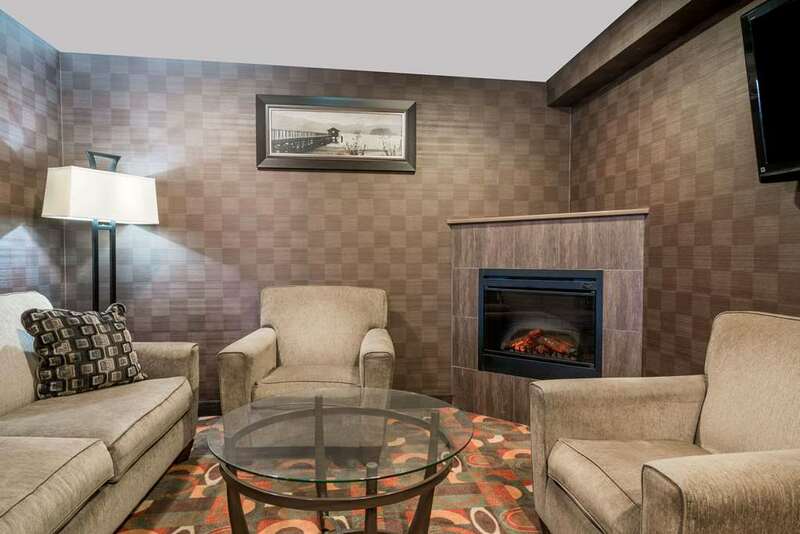 Enjoy the hometown hospitality at this Baymont Inn and Suites Eau Claire WI, just off Interstate 94, convenient to Gander Mountain, the Chippewa Valley Regional Airport, the Jacob Leinenkugel Brewing Company and the University of Wisconsin. This smoke-free lodging offers complimentary wireless Internet and complimentary breakfast, as well as heated indoor pool, fitness center, dry-cleaning and bus and truck parking. Take care of work details in the business center with printing and copy service. Rooms feature 32-inch flat-screen TV, microwave and refrigerator, ideal for longer stays, and there is no charge for kids 17 and under when staying with adults.